Swimia.com wants your feedback on Aquagym in Northern Mariana Is. 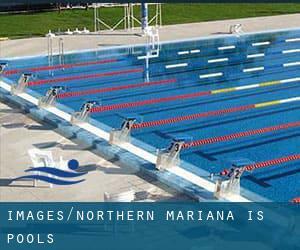 to ensure all the information about swimming in Northern Mariana Is. is valid. Thanks to some new pools submitted by swimmers like you, Swimia.com is escalating in the day-to-day quantity of stored pools. Please don't hesitate to contact us if you ever obtain any Northern Mariana Is. Swimming Pool with inaccurate or incomplete information. Swimming is a sport for all ages. It helps young people to tone their muscles and grow healthful and robust. For the elderly, there's no better way to exercise than finding a Northern Mariana Is. Swimming Pool to escape from day-to-day routine. Do you realize of any Pools in Spain that should be listed here? Contact us!. There are regularly discounts available to senior citizens and tiny children for independent swim. Find out by contacting your nearest pool among these Northern Mariana Is. Pools. Most in the Northern Mariana Is. Pools offer both open lanes for independent swimming and also guided activities like water aerobics or Aquabike. One of the advantages of outdoor swimming in Northern Mariana Is. may be the possibility to sunbathe throughout the summer season. Taking it with extra care, sunbathing is healthy considering that introduces Vitamin D into the body, so the best alternative seems to be switching in between indoor and outdoor pools based on the season. Without a shadow of a doubt, swimming in Saipan is the greatest way to unwind after work. Take a couple of minutes to browse Swimia's catalog to find a Swimming Pool in Saipan. Swimmers like you reported Olympic size, 8 lanes, Outdoors. Phone number and e-mail address are number for this Swimming Pool. Updated on 2019 Beach Road , San Antonio , Island of Saipan , NORTHERN MARIANAS (U.S. COMMONWEALTH) (Postal Code: 96950). This sports center gives 25 meters, Outdoors. Contact information for this Swimming Pool for example phone number and email address are number.